Owl Cottage is owned by the Self Realization Meditation Healing Centre, a UK Registered Charity, which looks to serve the needs of all people, of all races, backgrounds, beliefs, and for all levels of need. The focus is on providing teaching, nurturing, the clearing of emotions and balancing of body, mind and spirit for all who desire peace, harmony, health and progress. The Centre consists of a 17th Century house with its surrounding buildings and spacious grounds, including beautiful landscaped gardens and an indoor heated therapy pool. The gardens would be available for you to enjoy for quiet reflection and relaxation, and the indoor heated swimming pool can also be hired by the hour at £3.50 per person per swim. We are happy to allow well behaved dogs in the Cottages, there is a charge of £15.00 for them. We are happy to allow well behaved dogs in the Cottages, there is a charge of £15.00 for them payable on arrival. If you would like any of our home-cooked vegetarian breakfasts, lunches or evening meals, please book prior to arrival or ask in reception about availability with at least 24 hours' notice. As well as the teaching and practise of Pure Meditation, we offer Retreats and Self Development Courses throughout the year, regular clinics for Natural Spiritual Healing and Progressive Counselling/Coaching, Transformation Hatha Yoga classes and 1-1 Personal Training and Professional Training Courses for Natural Spiritual Healers, Progressive Counsellors/Coaches and Transformation Hatha Yoga Teachers. Raven Cottage and Willow Caravan next door can also be rented to accommodate larger groups. Rooms (including ensuite and disabled facilities) are also available within the grounds of the Centre for B+B and full board accommodation. Perfect country hideaway with a beautiful cottage garden. Small but well equipped kitchen, cosy sitting room and two nice sized bedrooms overlooking the garden. Lovely dog walks over the fields to the hamlet of Wales and on the Leland Trail to West Camel. 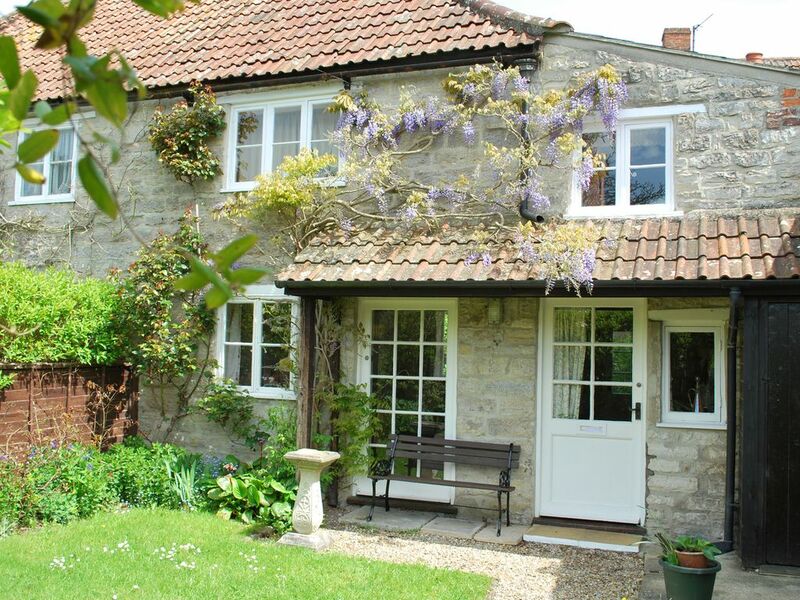 It gave us a week of peace and quiet for walks and visits to the nearby towns of Castle Cary and Bruton. We came home refreshed and would definitely visit again. Dinky was a great guest and a joy to host, we are glad she enjoyed her stay and hope to see her again. wij hebben 2 weken een heel prettige vakantie gehad in Owlcottage. Er is veel te bezoeken op een niet te grote afstand. We are glad that our guests enjoyed their stay, it was lovely to see them enjoying the gardens each day. Charming little Cottage set in wonderful grounds. Anna and Michael & Toby. We overall enjoyed our stay here. The cottage was very clean and has lots of character. The shower and bath and heated towel were great, and although not all of us found all the beds comfortable, we swapped beds during our week, and eventually all of us were comfortable in one or other of the beds. (2 parents, 3 children from 10 years old down). The little garden caught the sun nicely in the afternoon, and we appreciated the washing machine, having flown to England and brought only a few clothes. The cottage is very cold, and we couldn't figure out the storage heaters, though we did use all the duvets, blankets and a radiator to keep us warm in the evening. We loved being able to cook and having a fridge, as our family had very varied eating needs. If we returned to the same area of Somerset we would probably stay here again. Rooms (including ensuite and disabled facilities) are also available within the grounds of the Centre for B+B and full board accommodation.